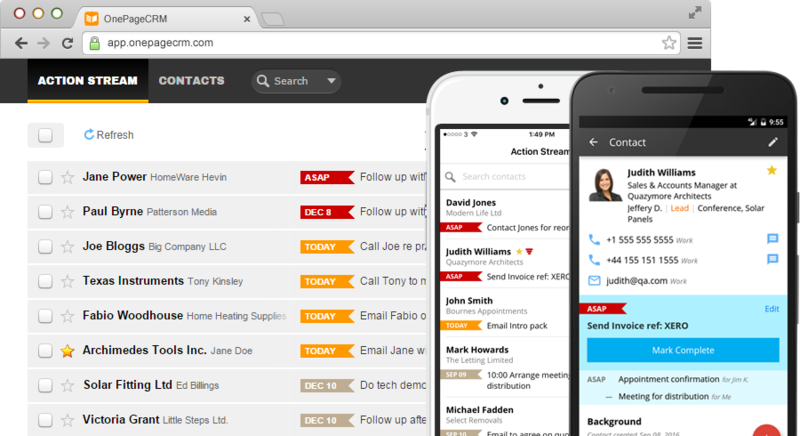 Choosing the right CRM for your business can be tough. With so many to choose from, how do you know you’re picking the right solution for your business? Fear not, we’re here to help! In the table below we have highlighted the key CRM features that need your consideration and compared them side by side. All information, prices, and data correct as of January 2019. To report any incorrect or outdated information, please get in touch with us. A CRM is not a ‘one-size-fits-all’ solution. One of the biggest reasons for CRM adoption failing is neglecting to clearly define the business objectives for the CRM. You need to make sure the CRM you chose fits with your business goals and ambitions. The effectiveness of your CRM to reach business goals is directly proportional to its usability. It needs to make the life of your sales team, easier not harder. Choose a tool that can be easily customized to your business needs. CRM systems that don’t offer the ability to connect to other parts of your business (lead generation, lead nurturing, accounting applications) are not serving your company in a way that maximizes revenue. Think of your CRM as the glue, that keeps all your business process working seamlessly together. Be sure you have 100% clarity on what you are getting for the price you pay. Many solutions offer basic functionality at a free or low price point only to ramp up the cost for reporting or advanced usability later in the funnel. A good CRM will have a great customer support team to help your sales team use the application to make more sales. Look to see if the CRM offers support in your time zone. Is it just via email or online help ticket? Or do they offer live customer chat, webinars and phone support? What makes a great CRM? A great CRM is a tool that helps you sell more. It should be easily customized to your business process and above all, a tool your sales team loves using! At OnePageCRM, we keep things simple. By applying GTD (Getting Things Done) productivity principles to sales, we can help you convert leads to customers, reach sales targets and grow your business fast. With OnePageCRM, you can ensure you stay on top of your pipeline, manage contacts, track sales, log calls and complete your Next Actions all from your browser, mobile or tablet. Finally, you and your team can focus on sales, not software. Why choose OnePageCRM over Close.io or Nutshell?